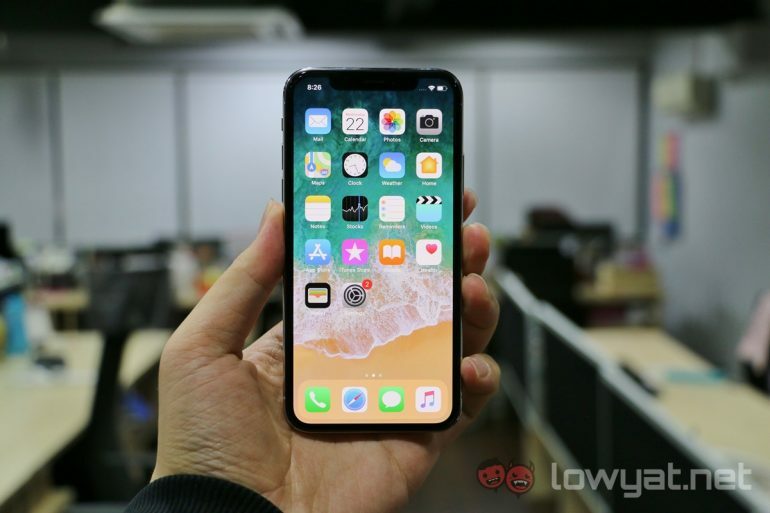 As part of its Pay Day sale, Lazada is offering the iPhone X 64GB at its lowest price ever and adding a sweet bundle promotion for the AirPods at half off. At RM4488, it matches the flash sale price from Lazada’s Chinese New Year promotion. 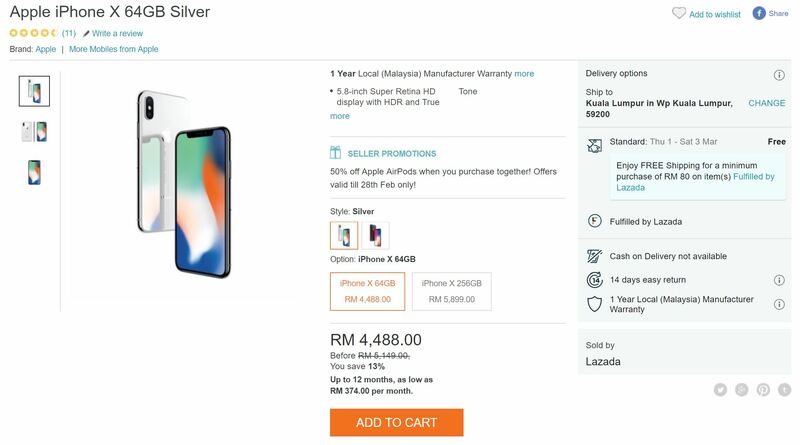 (Update: it is now going for only RM4399. Grab it while you still can!) The 50% off AirPods is based on Lazada’s price for the wireless earphones, which are already RM100 off Apple’s RM849 RRP. In total, you’re looking at a massive RM1135.50 in savings. This is easily the best deal for the iPhone X 64GB we’ve seen, and the promotion applies to both Silver and Space Grey variants. Interestingly, this offer is only valid for the 64GB variant – there is no discount for the 256GB iPhone X. In any case, note that this AirPods bundle promo is only valid until tomorrow (28 February). Lazada is an authorised Apple reseller, and all of its units come with 1 year warranty.